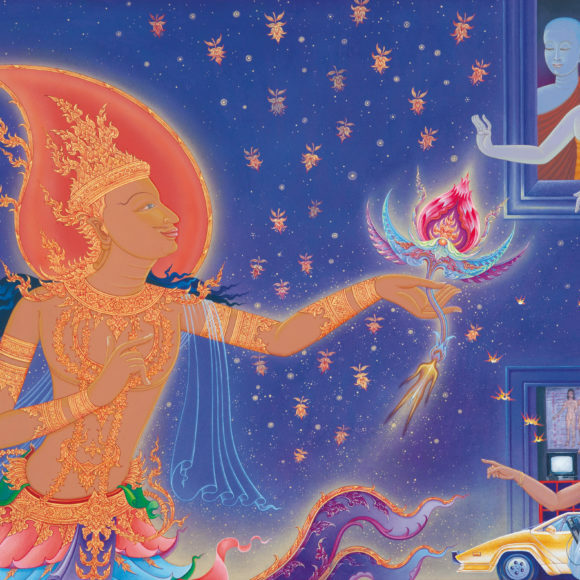 This work’s source came from the Buddhist history when Lord Buddha went to serve his mother in the Tavatimsa realm. It is like the unveiling of the realms of existence, both concretely abstractly. Compared with learning, ‘the unveiling of the realms of existence’ is like opening one’s mind. A triangle in the work represents what human beings possess. Naturally, the wider a triangle’s base is, the higher its edge is. Also, the more knowledge one has, the more sharpness one has. 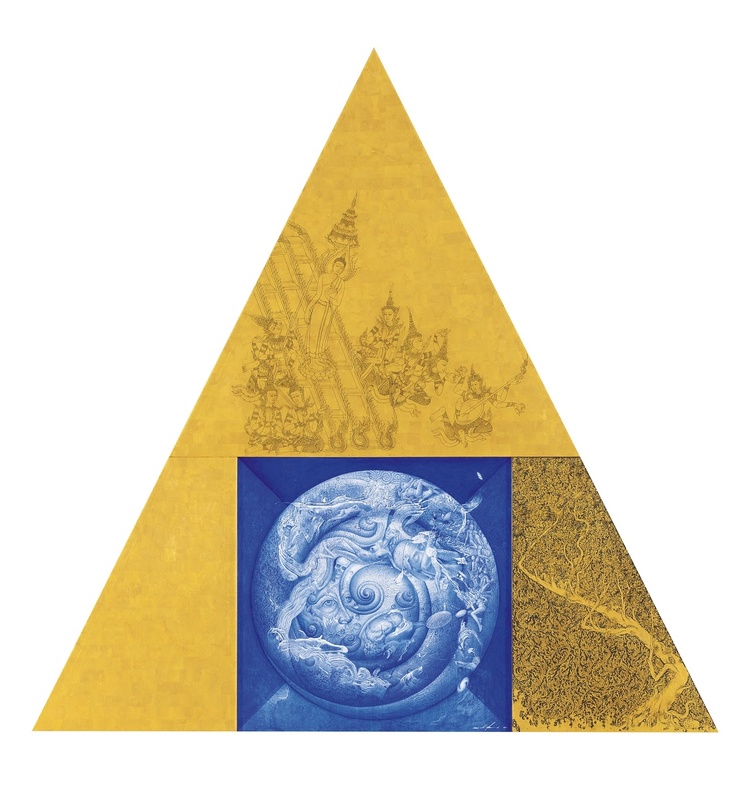 What appears beneath the triangle is something subdued in one’s mind— whether intelligence or ignorance— which is all hidden in human beings themselves.